It has been so long since I posted here, I'm almost at a loss to know where to resume. If you stop by this page occasionally, you know that my sister, Betsy, lost her battle with cancer in February. More accurately, she won the battle, but lost the war: She was beating the cancer, but her liver couldn't keep up the fight and failed. Still, in the past year or more, we spent some marvelous times together, and I've just awakened from a unsettling but pleasant dream about her. It's a beautiful, cool morning here in Florida, with birds chirping and the sun lazily rising. Armed with cup of hot coffee, it seems a perfect time to resume work with the dear friend I never met, George Mills. Hi There, me again Susan Goodland is my granny, she remembers living in Sunoaks, salthill chichester. Ive been trying to find it on google maps but it doesn't seem o register that sunoaks is a suburb, do you think it may have been a house/cottage name rather than street or suburb. Capt. Goodland's 1929 telephone listing at Sunoaks. Thank you very much for working on this excellent family history. It comes across as professional and well researched as well as compassionate and insightful. I was just looking for the year when Barton R. V. Mills passed away. Some time later I found myself still reading about these fascinating lives. Thanks again. I appreciate the kudos, and I hope you don't mind if I plug your blog, Avoiding Bethel, at http://avoidingbethel.blogspot.com/. 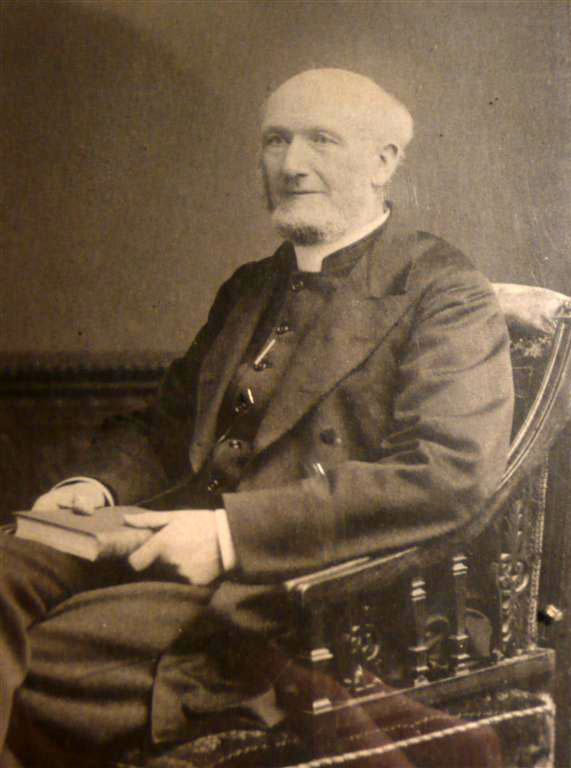 Rev Barton Mills married Elizabeth Edith Ramsay, not Edith Judith Ramsay. According to the probate information for Sir George Dalhousie Ramsay, 22565 pounds was left to Rev Mills and his wife Elizabeth Edith. 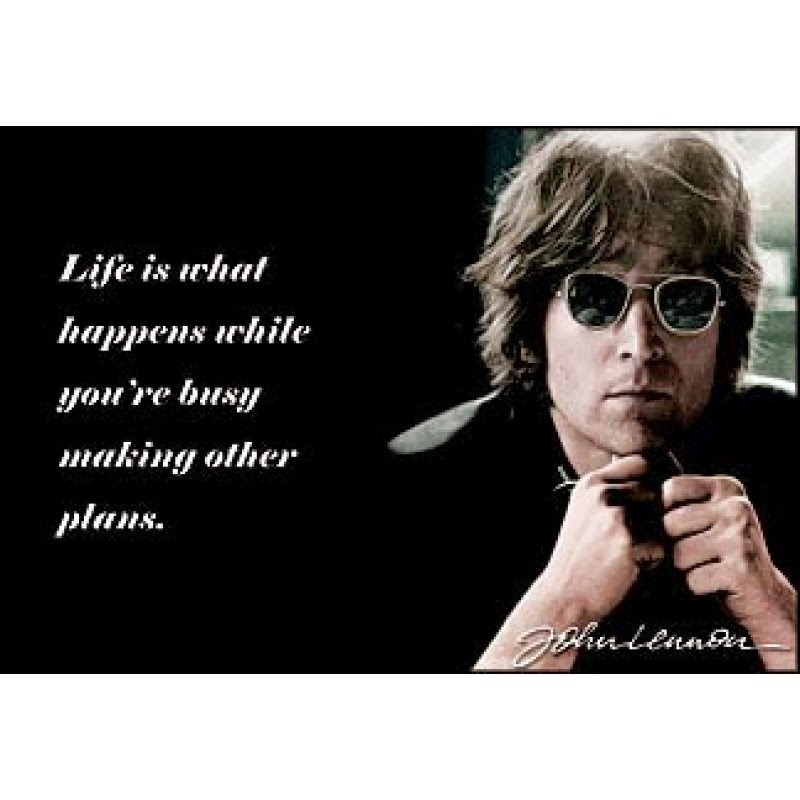 Thanks for sharing, Ms. Simpkin! Are you a relative of George Mills? If so, please let us know! I was at Parkfield from around 1948 to 1954 - I was extremely happy there - it was owned and run by Mr and Mrs Richard Lowe, who were very kind to me and everyone in their charge - it was then a very happy school. Their daughter taught me to read - she spent extra time with me and I will always be grateful - I think she married one of the teachers, A Mr Sharpe if I remember correctly. Mr and Mrs Lowe, I seem to remember (it is well over half a century ago!) sold the school to a Mr Halstead in my last term - I then went to Eastbourne College which I hated - However I will always have fond memories of Parkfield. Parkfield certainly seems to evoke quite a variety of emotions from its alumni. I would love to know a bit more of its back story! 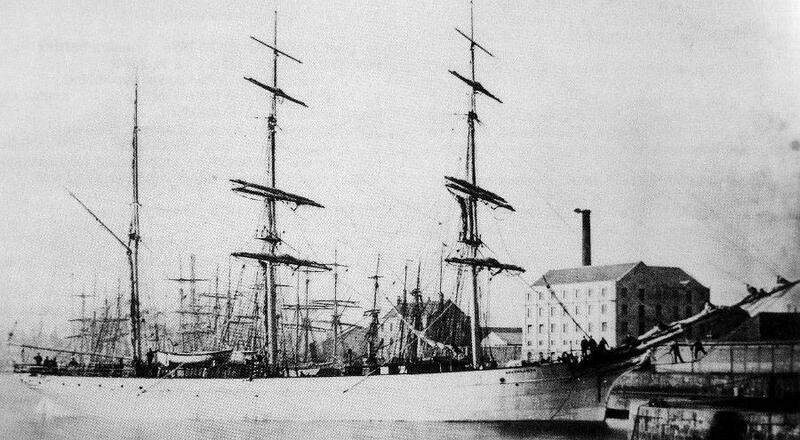 The Quathlamba of Auckland, on which Theodore Goodland served in 1903. 'Coniscliffe', once Eric Streatfeild's home, after a 1943 air raid. William Champion Streatfeild was not Eric Streatfeild's father but rather uncle. William Champion was the father of Noel Streatfeild, but his brother Alexander Edward Champion Streatfeild was Eric's father. Duly noted, and thank you, Mr. Sharland! Betsy, between me (left) and my brother, Mike, circa 1965. Next time we'll check the Who Is George Mills? mailbag and examine some e-mails from readers from around the world! Oh, my! An e-mail regarding the name of this web domain—www.whoisgeorgemills.com—and the necessity of paying for it for another year reminds me that I've been trying to answer the question, "Who is George Mills?" for exactly two years now. The website's name indicates how little I knew about Mills when I started: It would be more correctly titled "Who was George Mills?" Things around here started slowly, but while ordering my first Mills novel, King Willow, I received information from Heather at Peakirk Books in Norfolk based on a biographical sketch in text on British children's authors. I placed that order and purchased this domain name on the same day. 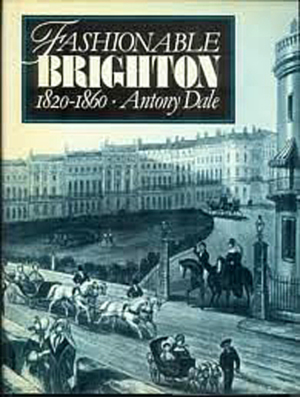 After purchasing my second Mills book, Meredith & Co., the preface led me to contact a former employer of George, Windlesham School in Brighton. Dr. Tom Houston, an alumnus, provided a wealth of information which included the fact that Mills had attended Oxford. Annabel Peacock, then in the archives at Oxford, completely cracked open the metaphorical nut of this research by providing detailed and accurate information regarding Mills, his father, and his grandfather, also Oxon alumni. That led to connections with Harrow, the Eastbourne Local History Association, Christ Church, the Plantagenet Blood Royal, London, Kensington, Lady Dorothy Mills, the Beauclerks, the Walpoles, the Aclands, the Hobart-Hampdens, the Wingates, the Ramsays, American multimillionaire D. C. Corbin, Budleigh Salterton, Cornwall, Lincolnshire, New Zealand, South America, Africa, the Middle East, Portslade, Meads, Brighton, Spokane, New York, France, China, India, and the Bosphorous. And all that was within the first 20 days of writing this blog! Since then I've met many fascinating and wonderful people and learned a great deal about history, geography, literature, different cultures, and, quite frankly, about myself. Right now, I still have to present Hugh Chittenden's speech and the events of the day during the Newlands School hundredth anniversary celebration and wrap up our examination of the Chittendens. There are also a few cricket photographs with players that want identification. 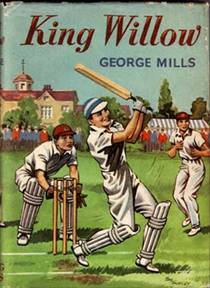 Other than that, however, there is not much new regarding George Mills and the vast segments of his life for which we cannot account. It has been two marvelous years for me, but I still have a feeling that it isn't over yet, and I implore everyone, but most especially George's closest family members, to contact me if you can add anything to what we know about this fascinating man, his life, and his times. Thank you once again to everyone who has gone out of his or her way to help me tilt at this windmill here. I am forever in your debt. Cheers! As of this moment 34,419 visitors have popped in for a visit, so here's to many more visitors, and many more years of learning about George Mills. Once again, my gratitude goes out to the Chittenden family for the trove of information and images that they've provided for us here at Who Is George Mills? This week, we'll take a look at an very interesting document entitled "Evacuation," written recently by Ann, a daughter of Hugh and Barbara Chittenden of Newlands School in Seaford, Sussex. 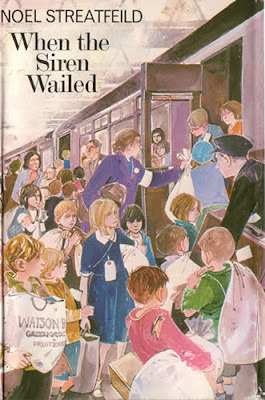 It's a delightful and personal recollection of a five year long event that had the potential to be a nightmare, and one hopes that most of the children who had been evacuated at the onset of the Second World War were able to, like Ann, keep many of the joys of childhood intact—at least to some degree. 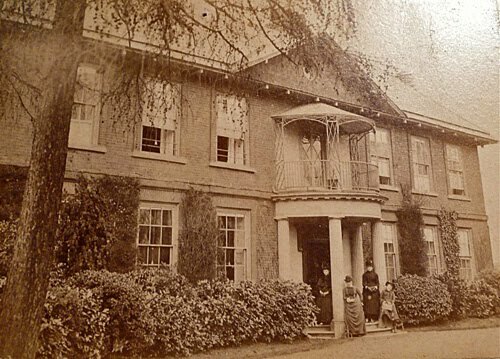 At the beginning of the war, Newlands School was evacuated for a period of five years, firstly to Thenford House situated in a small hamlet approximately five miles from Banbury in Oxfordshire. It was a lovely Georgian mansion although I remember it being extremely cold in winter, the only heating being provided by open fires. I think Thenford House had approximately 80 acres of land. I started off as the only girl in a school comprising of about 60 boys. Two other girls joined the school later on during the evacuation although for a shorter period. We had a very carefree childhood. The worry of keeping the school going and the safety of the children must have been an absolute nightmare for my parents, but we were unaware of this at the time and I recall a very happy childhood with a lot of freedom. Below is a list of some of my extremely random childhood memories of my time at Thenford! Our classrooms were over the stables. The owner of Thenford House had left his horses behind and the groom who remained there taught me to ride. Fire practise involved putting a rope around one's middle and being lowered over the side of the house from the parapet. I doubt modern Health and Safety officials would approve! There was a large lake on which we skated – highly dangerous! I also learnt to chop firewood with an axe at the age of 8, as did the boys at the school. Again, highly dangerous! There was a rogue gardener who had locked the kitchen garden and was selling the fruit and vegetables, which were supposed to be for the use of the school. I recall my father, with the school doctor, climbing over the walls in the middle of the night to raid the garden for his own vegetables! The farm was just beyond the stable yard and, after milking, I used to drive the cattle back to the fields for the farmer at the age of 8. 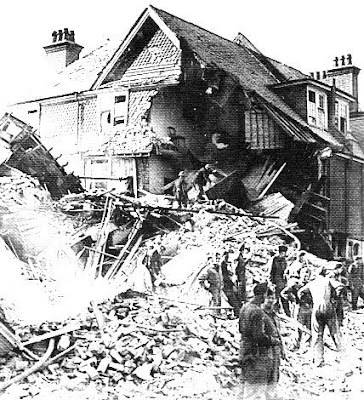 One night at Thenford we were all taken down to the cellars as Coventry was being bombed. I recall there was a red glow in the sky, although Coventry was a long way away. I remember going for a walk through the woods with our gas masks on for practise. They used to steam up and I used to lift the sides up to let the air in which would have defeated the object. 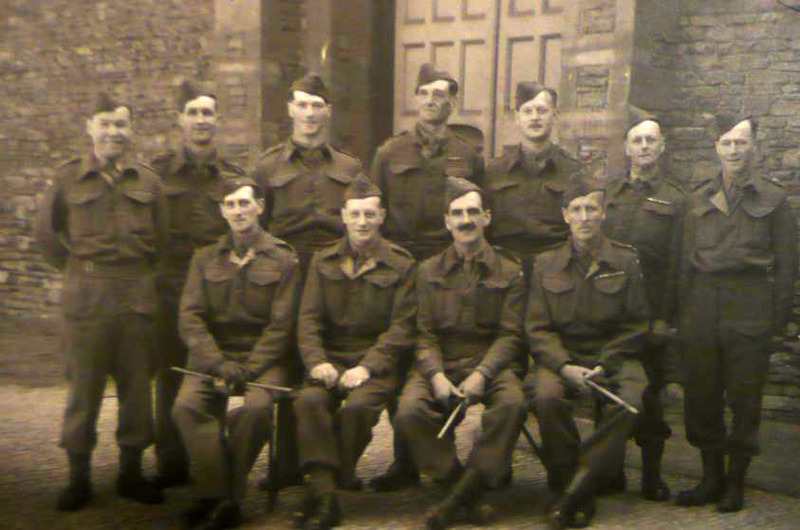 My father joined the Home Guard at Thenford [above, left], which was a little bit like Dad's Army! There was a farm next door to the house with a herd of jersey cows and my mother used to make bowls of clotted cream for us. Delicious! There were Italian prisoners of war working on the farm. I recall that they used to wait every evening by the front of Wardington House to be picked up and returned to their camp. I used to ride the butcher's pony for sixpence an hour. My mother used to provide food for midnight feasts for the school, unbeknown to anyone else! During the evacuation the school buildings in Seaford were taken over by the French Canadians. They used the weather vane for target practise and shot off the North, South, East and West which were later found after the war in the flower beds in the garden. All very light hearted memories, of no importance but I hope they are of some interest to you! Wonderful! I do believe these memories are important, though. The numbers—how many children were relocated, what transportation, average distance travelled, destinations, costs, etc. —are, I'm sure, readily available on-line and in dusty books. The facts and the figures, however, don't really tell the human part of the story. These recollections help me—and all of us—envision a time and a way of life that's disappearing all too quickly, no matter on which side of the Atlantic one resides. Memories of things like the fire drills, the rogue gardener, the clotted cream, and the Italian prisoners help re-create it all in a way that makes television programmes like Foyle's War so popular—at least here in the States. Perhaps the most enduring pop-cultural reference to Britain's evacuation of children during World War II comes in the first chapter of C.S. 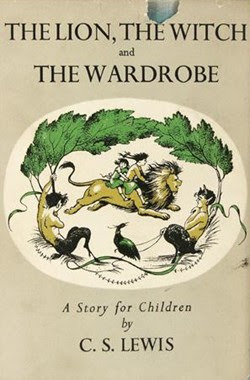 Lewis's The Lion, the Witch and the Wardrobe, as described in Wikipedia : "The story begins in 1940 during World War II, when four siblings—Peter, Susan, Edmund, and Lucy Pevensie—are evacuated from London to escape the Blitz. They are sent to live with Professor Digory Kirke, who lives in a country house in the English countryside." In Lewis's novel there is no reference to where, exactly, the children had been relocated, but it's easy to imagine that, had those Sons of Adam and the Daughters of Eve not become involved in their adventures beyond the wardrobe, they may have instead explored the area around Professor Kirke's country house and had much less fantastic, but quite meaningful, adventures like Ann's above. How does any of this truly relate to George Mills? First, George lived in this world, and it was far less idyllic than as was perceived by young Ann. Mills returned to the military in 1940, becoming a second lieutenant army paymaster at the age of 40, assuring us that he was keenly aware of his duty during the conflict as well as the dangers for himself and his nation. Understanding the world in which Mills lived provides context for understand the man himself. Secondly—and as always seems to happen when we study George Mills—we find there is a Sussex connection. 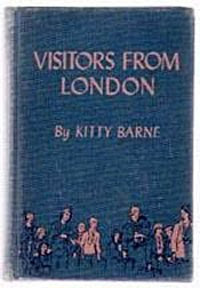 During George's time as a schoolmaster at Warren Hill School in Meads late in the decade of the 1920s, he must have been acquainted with writers (and sisters-in-law) Kitty Barne and Noel Streatfeild. Mills was not a writer at the time, and would not become a published author until the appearance of his breakthrough novel Meredith and Co.: The Story of a Modern Preparatory School on bookshelves in 1933. George had taught with Kitty's husband, and Noel's brother, musician Eric Streatfeild in Eastbourne. Meredith and Co. contained vignettes undoubtedly culled for his time at Warren Hill, as well as his stint at Windlesham House, then in Portslade, and made a study of the vernacular used by boys of the era, a first in children's literature. It was a device that many subsequent children's authors have imitated. Later that decade, as children were being evacuated from Sussex and in the same year that Mills was returning to active duty under the Colours, Kitty Barne published her Carnegie Medal winning book Visitors from London, an early novel about evacuees that was set in Sussex. 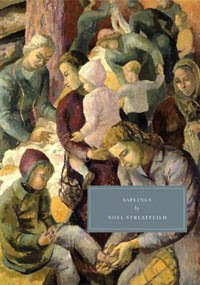 By 1945, Noel Streatfeild had authored Saplings, a novel intended for adult readers, set in 1939 and describing the wartime experiences of the Wiltshire family, focusing on the children Laurel, Tony, Kim and Tuesday. Saplings, according to a reviewer called Nymeth , "chronicles the psychological effect these separations, this uncertainly and instability, had on those who had to grow up with them," and "capture[s] a child’s perspective and understanding of the world" as it was for them during the war. The on-line review continues: "The children are actually very well-off, in the sense that they are physically safe, they never go hungry, and they don't suffer discomforts. And yet my heart still broke for them." That is very much how one might feel regarding Ann's memories above. It's a tribute to Ann, and the rest of the world's ' greatest generation,' that they survived so much and were able, for the most part, to come away with memories of a positive nature. 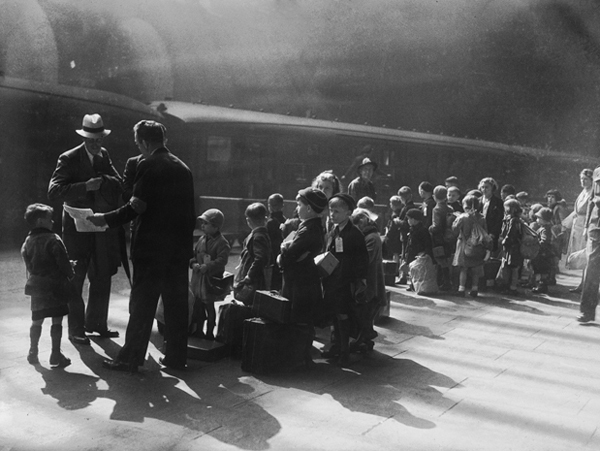 Families were separated, lives disrupted, and a gnawing feeling of fear must have been prevalent, knowing Nazis were just miles away in occupied France, anticipating overrunning and conquering England in much the same way they'd blitzkrieged most of Europe. It's difficult today to think of those times as having been anything but frightening, a feeling of which we find a hint in Ann's recollection of the bombing of Coventry. Ann Chittenden, as a child, seems to have lived very much in the moment, and if she harbours any grim or bitter recollections of leaving home and family for five years of her life, she isn't dwelling on them. Many thanks, Ann, for adding your own memories here. George Mills had passed away in 1972, and there's no indication that he ever discussed his feelings and experiences during the war with anyone who still living today. 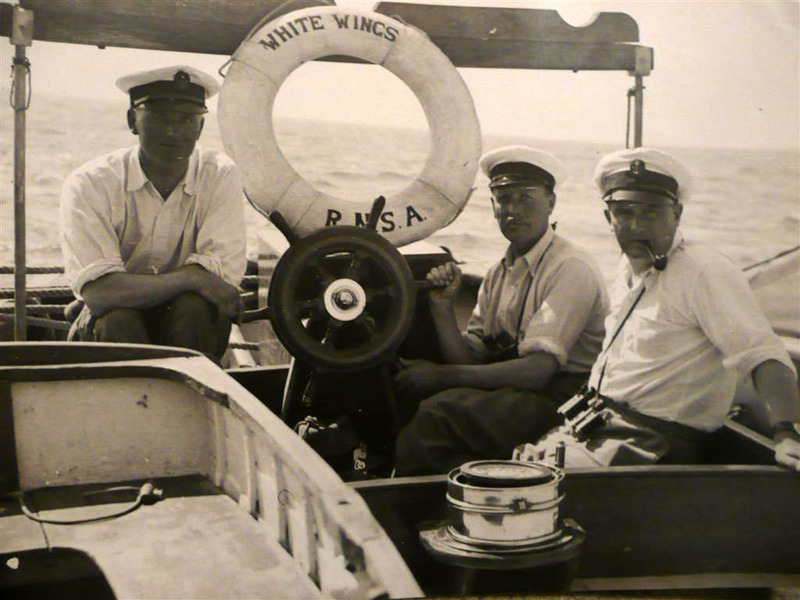 During the conflict, George dealt with the deaths of friends (Terence Hadow, Egerton Clarke), colleagues (Capt. William Mocatta, Joshua Goodland), and loved ones (his wife, Vera, and his mother, Edith), all between 1939 and 1945. We certainly don't know if he kept in touch with Barne or Streatfeild after leaving behind a career as a schoolmaster and becoming, like them, an author of children's books. What we do know is that whenever we examine George's life, or the lives of those close to him, the path always seems to lead us to Sussex. Did George spend time after the war teaching in Sussex—Seaford, specifically—at Newlands School? Right now we have no evidence of that. But it wouldn't surprise me one bit! Welcome back! Regarding the Chittendens of Newlands School at Seaford, we've gained a wealth of information via Hugh and Barbara Chittenden's daughter Ann, and Ann's daughter, who has been corresponding with me. While most of this information deals with the Chittendens, it also is fascinating because it continues to flesh out the mid-20th century world in which George Mills (and the rest of the dramatis personae with whom we have been dealing over the last two years) lived, worked, loved, and passed on. I am visiting my mother next weekend so I will see what she can tell me. I did ask her previously about George Mills when I saw your blog and the name did not ring a bell but I will try again. As I said, she was a pupil at the school during the war, however on return to Seaford she went to Micklefield School (all girls school). 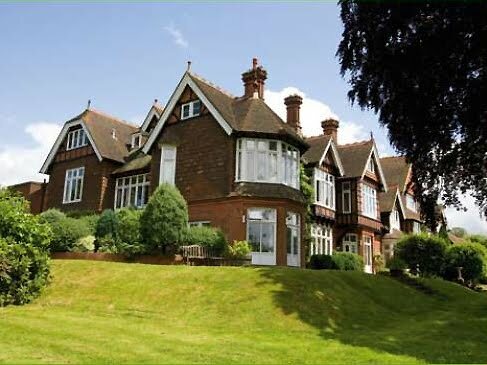 She did however continue to live in the main Newlands building and, even in her 20s, when she was living in London, came back to Newlands every weekend so she should have some of idea of the names of staff around that time. I spent a lot of my childhood at my grandmother's house, with my mother and her sister Joan (we were there most weekends). If I remember correctly the Mills that was referred to the most was a Dr Mills (possibly with the christian name Denholm) – I'm not sure if that rings any bells? I will do some digging however. My grandparents, until their deaths, lived with a great friend called Tommy (Hilda Alice Miles, but she hated her names!). Tommy cooked for the school for many, many years and after my grandfather retired she continued to live with them. Tommy died when I was 21 but she was a really lovely lady and like an extra grandmother to me. As Richard says, Hugh and Barbara had four children. Hugh John Robert (known as John), Barbara Joan (known as Joan), George William David (known as David) and my mother Ann (by which time they had run out of middle names!). Richard spelt my mother's name wrong - possibly as he is researching family history and it is wrong on her birth certificate. My mother was the youngest and the only one still alive. She does not remember John that well as there was a large age gap between them and I think she was about 8 when he went off to Africa and never returned. Richard was incorrect when he said my mother had papers re the school - she does not. She mainly has bags of family history papers and I imagine the school papers were left with David when he took over as headmaster and then maybe were left with school... (I am not sure). What my mother does have are all my grandparents' photos - mainly of the family, but there are some of the school. I have recently been researching my family history and going through these with her and found some of sports day presentations in (possibly) the 50s and I am sure there are many more I haven't seen. 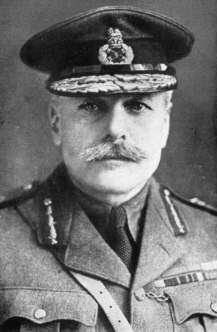 She also has Hugh's wartime scrapbook, with numerous photos of the trenches, maps and his orders (one signed by General Haig [pictured, left]). And John's suitcase of belongings sent back from Africa after his death, containing all his belongings (such as shaving brushes, letters to and from him parents and Joan (who he was closest to in age), small African statues/ornaments and the letter from his commanding officer telling the circumstances of his death (which she has never read and I don't think wants to as it would make some fairly sad reading). So there is alot of information about the family [Deleted by request] (less about the school)! I will speak to her and I am sure she will happy to provide general unsourced information for you to include. If she is happy for me to do so, I can also forward you some photos of my grandparents and John. If I find school photos with faces of staff in I can take copies also in case you spot George Mills but that will take some while as the photos are not organised and there are hundreds! I have been taking photos of photos with my camera to upload so maybe not the best quality but as my mother is not on the internet it is the simplest way of doing it. 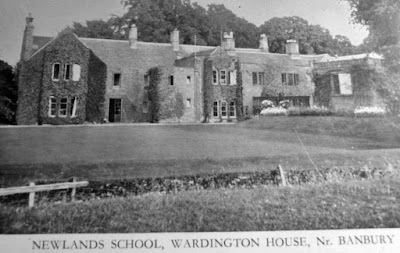 I am also not sure if she will know how the evacuation of Newlands was facilitated as she was only 7 at the time war broke out, but she should be able to give you some general stories about life at the school [pictured at Wardington House, right]. I know, for instance, that there was a walled vegetable garden at one of the two locations that the school evacuated. The vegetables were supposed to be solely for the use of provisioning the school but the gardener used to lock the gates and sell them on the black market so Hugh and (I think) the School Doctor used to climb over the high walls at night and pinch what were actually their own vegetables to feed the school. My grandmother on the other hand looked after the ration books for the school and apparently did a wonderful job making sure the school was well fed. So no doubt she may provide a few stories along those lines. As those are her personal stories however I want to ensure she is happy before I say these can go online. This (below) may not be of interest as its not directly related to the school, but have added it in case. I should be able to add to this in the next couple of weeks anyway so I don't know whether you prefer to wait for that or not. Hugh Faithfull Chittenden was the son of Charles Grant Thomas Faithfull Chittenden [whose father, the Rev. Charles Grant Chittenden, was headmaster of Newlands whilst it was located at The Grange [pictured, left] in Herfordshire, is pictured, top right] and Eliza Cummins Wheeler. Charles Grant Thomas Faithfull Chittenden, who was a Bank Clerk, died whilst Hugh was a child. Eliza Cummins Wheeler was the sister of Joseph Bourne Wheeler and granddaughter of Joseph Bourne who were proprietors of Denby Pottery which is a worldwide brand today. Hugh had two brothers, Arthur [pictured, left] and Charles. Hugh was awarded the Military Cross during World War I. Charles Cummins Chittenden was awarded the George Medal. Arthur Grant Bourne Chittenden was killed early on during World War I.
Barbara May Grundy was the daughter of George Beardoe Grundy and Mabel Ord. George Beardoe Grundy was a Professor of Ancient History at Oxford University and wrote many books (which can still be found for sale on various websites today). Mabel Ord, I believe was one of the first (seven?) female JPs in the country (Justice of the Peace). Hugh, as you say, loved bird watching and in his retirement, he loved to travel with his two daughters. Barbara, in addition to her love for croquet, was apparently a crack shot (hitting the bullseye most of the time), accomplished at woodwork and loved playing (and watching) snooker. She also worked tirelessly for charity, most notably the RNLI (Royal National Lifeboat Institution). 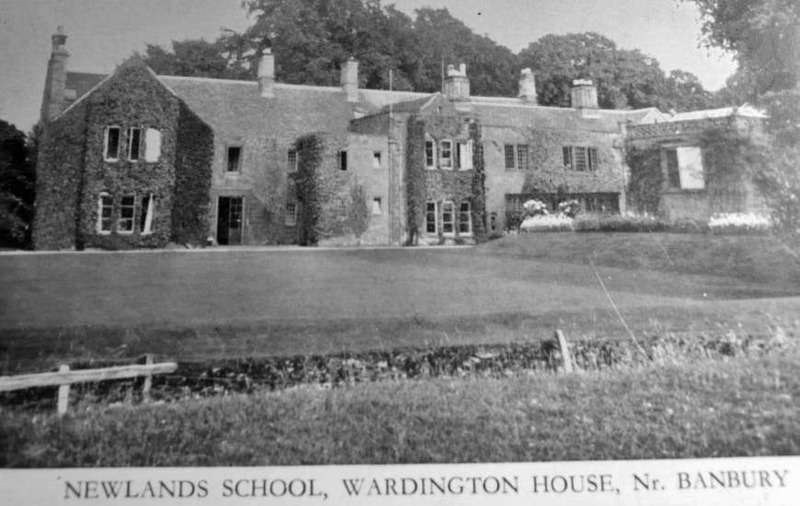 Newlands School was evacuated to Oxfordshire during World War II. 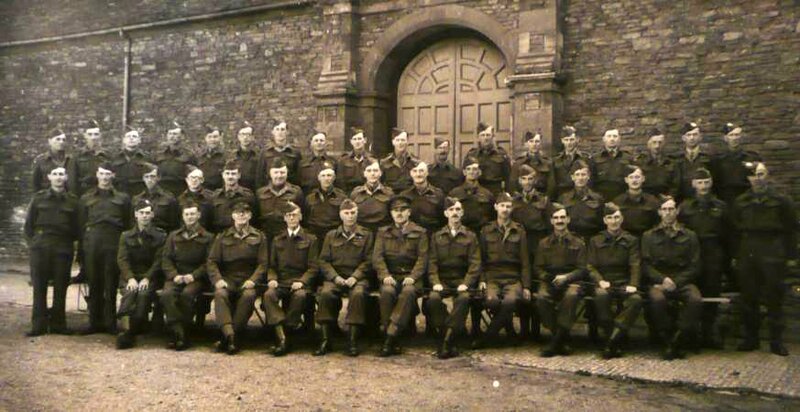 During this period the school was located at two locations, Wardington House [above, right] and Thenford House [pictured there with the Home Guard, below right; Hugh F. Chittenden is presumably seated in the 1st row, far right]. Wardington is now a Care Home (http://www.wardington.com/) and Thenford House is currently owned by The Rt Hon. Lord Michael Heseltine. During this period Hugh was a member of the Home Guard (the local detachment of which I am told was not unlike the Home Guard in the TV series Dad's Army!). There are still photos of the fire evacuation drills of the school during this period, which involved lowering the children, attached by a rope, from the roof of the building to the ground (which I'm sure modern Health & Safety would have something to say about!). Further to my earlier email, I spoke to my mother and she is happy for me to forward you a few photos if you do want to add these to the site. I have attached four (three of my grandparents) and one of Hugh John Robert Chittenden - please can you put his name as John next to this as this was the name he was known by, not Hugh. These are photos of photos, so not perfect as there is a bit of light at the side but hopefully give you something clearer than the newspaper photos you have of them currently. My mother is definite that she has not heard of a George Mills unfortunately. To clarify my earlier email, there was a Denholm and May Mills (the Doctor in Seaford) with sons Andrew, David and Patrick but she thinks these were unrelated to Aggie Mills. She does however remember (George's sister) Aggie Mills. This does not mean that George Mills was not at Newlands however as it is quite possible she had not come across him. Hope this helps. Once I have visited my mother I will see if I can get some copies of any photos related to the school. So, while Ann has not heard of George Mills, there is still the possibility that he was involved in the school in some way at some time. One thing we know for certain about George is that he must have been less than memorable if one was not close to him. In fact, George lived for years in retirement at Budleigh Salterton and played on the southern croquet circuit for over a decade and I cannot uncover a single person who knew him who knew he was a published children's book author or a schoolmaster. Vague recollections of a quiet fellow are all anyone seems to have of George Mills, save for his Budleigh physician, Dr. Evans, who demurely assures us only that George was, indeed, "sociable." There really isn't any reason that Ann, or anyone in the family, might remember George Mills (save that he likely spoke with a lisp), but there is still hope that we may, indeed, find him in a school photograph among the staff members. I'd love to try my hand (and eyesight) at that! Meanwhile, I have received more photographs, including ones involving Barbara Chittenden's years playing croquet, as well as Ann's recollections regarding the relocation of the Newlands School students to Oxfordshire during the war. I have used some of the photos here, but there is much more to come, so please check back occasionally. And, once again, many thanks to the Chittenden family for all of their support and assistance. If you have anthing to add to the conversation, regarding the Chittendens or the Mills, please don't hesitate to let me know, and thanks in advance for your help!